Justin Maxwell's Silver Hammer Is Potent, But Can He Stay Healthy? 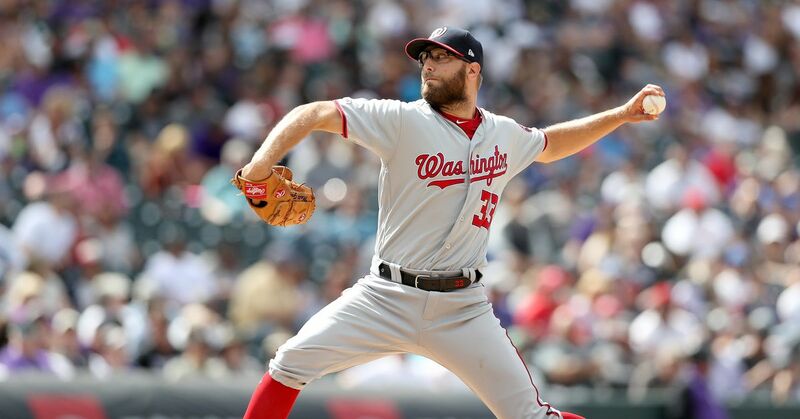 There is no question that the Washington Nationals drafted a player in the major league 2005 amateur draft who could become a key player in the team's long-term future. It may come as a surprise, however, that the "key" player might not be Ryan Zimmerman. After selecting Zimmerman with the fourth overall selection in the 2005 amateur draft, the Washington Nationals had to wait until the fourth round to make their next selection. 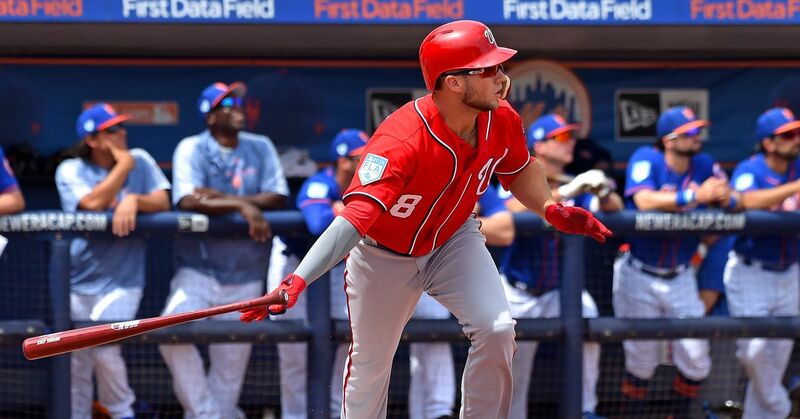 The Nationals' second round selection went to the Colorado Rockies for the team's signing of third baseman Vinny Castilla, and the third round pick went to the Minnesota Twins for their loss of free agent Cristian Guzman. Daniel Carte, the player the Rockies selected, has averaged .265-15-80 over a full season in the minor leagues. Pitcher Brian Duensing, selected by the Twins, has a minor league record of 29-30, 3.47, pitching a 'AAA' Rochester the past two seasons. The Nationals chose Justin Maxwell with the team's second overall pick, taken in the fourth round of the draft. Maxwell, who graduated from the University of Maryland this spring, had rebuffed the team's efforts to sign him because of the contract's structure and not its financial considerations. Team officials described the negotiations as "amicable." My guess is the contract addressed his injury plagued seasons of 2004 and 2005 with the Terrapins. Injuries robbed Maxwell of what would have been a sure first-round selection. An inside fastball during spring practice in 2004 broke a bone in his forearm which forced him to miss the entire season. He tried to play in the Cape-Cod League that summer but broke a finger there, effectively finishing his year. Seven games into his final college season, he broke a bone in his hand, ending his amateur career. He didn't play professionally in 2004, using the rest of the year to regain his health. Maxwell has been a star at every level he has played. He played in the Cape-Cod League in 2004 and hit .307 with 47 hits and two home runs. In his abbreviated 2005 season at Maryland, the 6'5", 220 lb outfielder batted .455 with three home runs and 10 RBI's. His talent was well known to most scouts and general managers in the major leagues. He was drafted in 2001 by the Orioles, and again in 2004 by the Rangers. Scout Grady Fuson called Maxwell "one of the top college players" in 2004 and said that Maxwell "could very well be one of our most important selections in some time." Maxwell didn't sign with the Rangers. Maxwell is both powerful and fast and is often compared to former Met great Darryl Strawberry. His swing has a high arc, allowing him to not only drive balls, but drive them very high and very deep. Defensively, he is major league ready today, according to a scout from the Orioles' organization. While his physical tools might be compared to Strawberry, his personality is more like Cal Ripken, which is good for him and great for the organization. Sean Welsh, GM of the Bourne Braves, a summer-league team Maxwell played for two seasons ago, said that he's as apt to be reading his Bible in the clubhouse as he is sanding his bats in preparation for the next day's game. In four minor league seasons, Maxwell has averaged .263-23-90 with 41 steals over a 500 at-bat season. He has a career .354 OBP and a .462 slugging percent. His Thebaseballcube.com scouting numbers are very impressive as well. These are based on a maximum of 100 points: Power:93, Speed:91, Contact:22, Patience:76. He compares favorably to Alfonso Soriano in power (94), speed (94), and patience (13). Soriano is just a bit better in making contact (31). Maxwell received a September call-up in 2007, and impressed, batting .269 with two home runs, one a grand slam, in just 26 at-bats. He just missed a third homer that reached the fence in the deepest part of RFK Stadium's massive outfield. The concern with Maxwell is his health. At times, he reminds Nationals' fans of Nick Johnson, which is not a good thing. In 2008, Maxwell played just 43 games for 'AA' Harrisburg before a hand and wrist injury ended his season. If he can stay healthy, and if he gets enough at-bats in the minor leagues, Justin Maxwell should become a solid major league outfielder in 2010 or 2011. But he'll be 25 in 2009 and will still be at the 'AA' level. He'll need to finish the year at 'AAA' Syracuse to be young enough to be considered a real prospect in 2010. 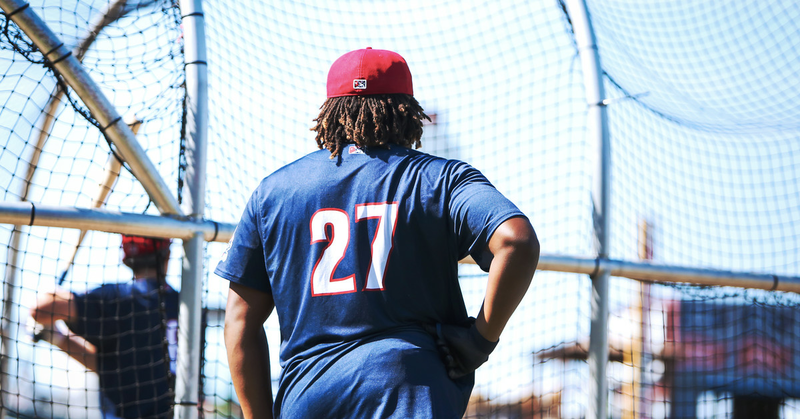 If he stays healthy, he'll be a 20-20 type player for a decade. The question is, will he remain healthy? And the jury is out on that, at least for another year. The Nationals called up Carter Kieboom. Now what? Wire Taps: Carter Kieboom called up by Nationals; What to do with Trevor Rosenthal?